Quick review of Black and White. Black and White is a very simple guessing game that involves 3 rotating panels that are black on one side and white on the other. The aim of the game is to guess which or how many of the panels will be black or white after they have finished spinning. Black and White is incredibly basic with very limited betting options. It’s basically a glorified version of tossing a coin and guessing heads or tails with a mate down the pub, except that you get to play this game at home in your boxers and socks on a Sunday morning. It’s also a lot like the Digit game, but instead of digital numbers you have the black and white panels. This explains why the ratings are the similar and why my reviews of these two games are so suspiciously alike. Note: I prefer Digit because you get to rollover your winnings for the opportunity to accumulate a massive payout. This is not possible in Black and White. Black and White fun rating - 41%. How much do you enjoy playing heads or tails? Try quantifying that enjoyment by putting it in to a percentage and you can work out your very own fun rating for Black and White, and I’m guessing that it’s not a big number by any means. As with most primitive games like; tossing a coin, throwing rocks at a tree and punching each other in the arm, it’s not going to take long before it gets repetitive and boring (and bruising). The same can be said for this Black and White guessing game (minus bodily injuries). On the positive side (just about), Black and White isn’t going to put too much stress on your brain. However, the trade off is that you’re left with an unexciting experience and no opportunity for big payouts or wins. How to play Black and White. The basics of Black and White. Wager on one of the four (and a bit) different betting options. Sound familiar? It’s just like Digit, except you don’t have the opportunity to gamble your winnings after each round. Black and White in more detail. 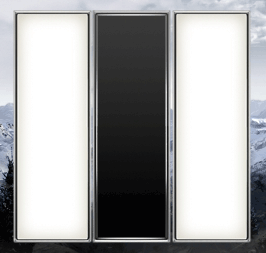 There are 3 panels in the online game of Black and White. Each panel has a white face and a black face. 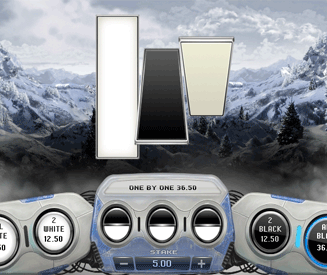 Both white and black faces have equal chances of appearing once the panels have been spun. After you have chosen your stake and placed your bets, the 3 panels will spin before finally coming to rest. Winning wagers will then be paid, but cannot be rolled over on to future rounds. Note: If you have decided to select the result for each individual panel, the panels will spin one at a time, allowing you to wager on the result of the next panel before moving on. Black and White betting options and payouts. There are four main betting options in Black & White. 2 Black = 2.5x. Wager that 2 of the 3 panels will be black. All Black = 7.3x. Wager that all 3 panels will be black. 2 White = 2.5x. Wager that 2 of the 3 panels will be white. All White = 7.3x. Wager that all 3 panels will be white. The payouts for the corresponding black and white wagers have equal payouts, as there is a 50/50 chance that a black or white face will be on show at the end of a spin. For some reason there is no option to bet on there being just the one black panel or the one white panel. No idea why they left that one out. Wagering on each individual panel - "one by one". One by One = 7.3x. You can also wager on whether each individual face will be black or white. If you guess black or white correctly for each of the 3 faces, there is a payout of 7.3x your wager, which is equal to guessing that all 3 panels will be the same colour. For this particular wager, you guess each panel result one at a time as opposed to doing all three at once. This increases the tension, which in turn increases the frustration when you end up guessing incorrectly on that last damn panel.